Female Balance by NOW has helped with my moodiness and I notice a big difference in the way I act on it compared to not taking it. I definitely think it helps to balance out your hormones and makes you feel better. 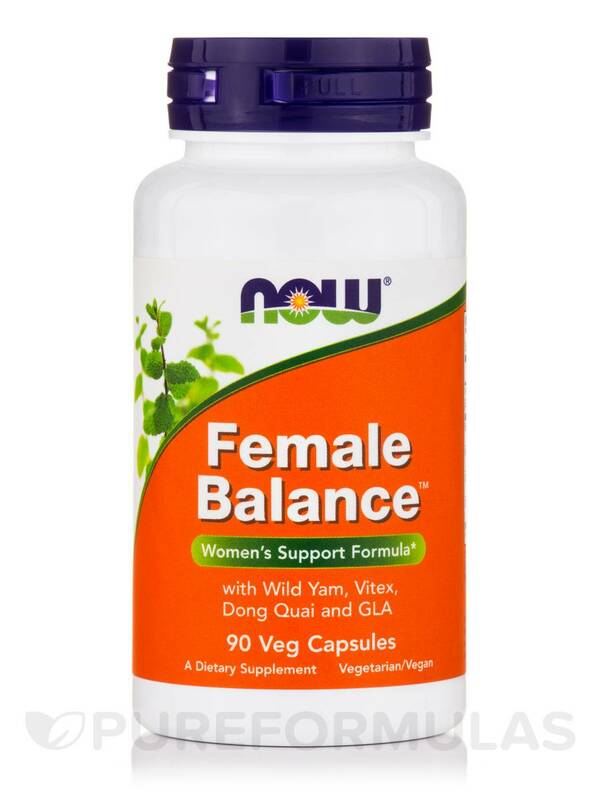 NOW® Female Balance™ is a unique herbal support formula for women. 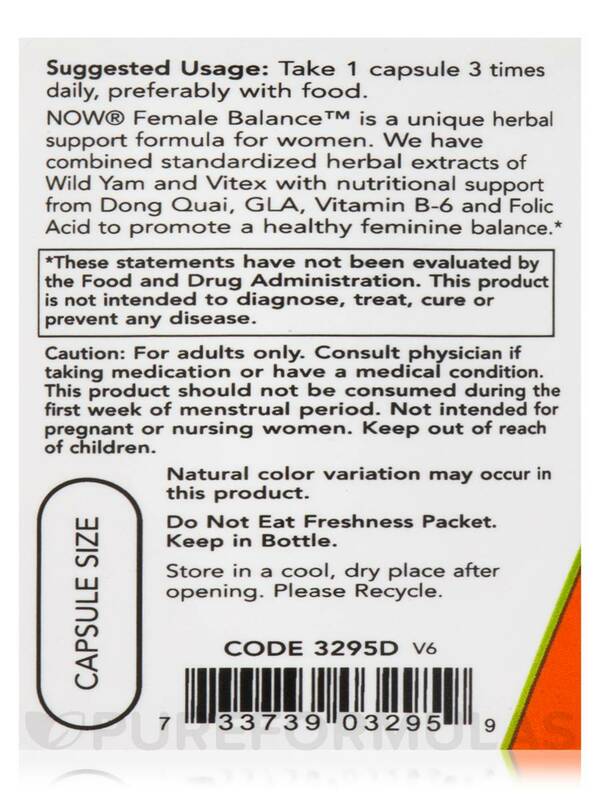 NOW has combined standardized herbal extracts of Wild Yam and Vitex with nutritional support from Dong Quai‚ GLA‚ Vitamin B-6 and Folic Acid to promote a healthy feminine balance. 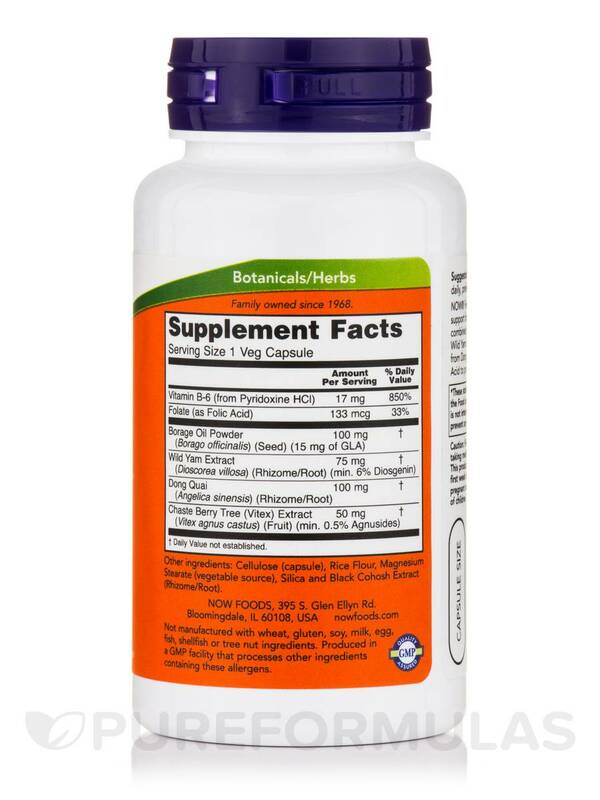 Other Ingredients: Cellulose (capsule)‚ rice flour‚ magnesium stearate (vegetable source)‚ silica and black cohosh extract (rhizome/root). 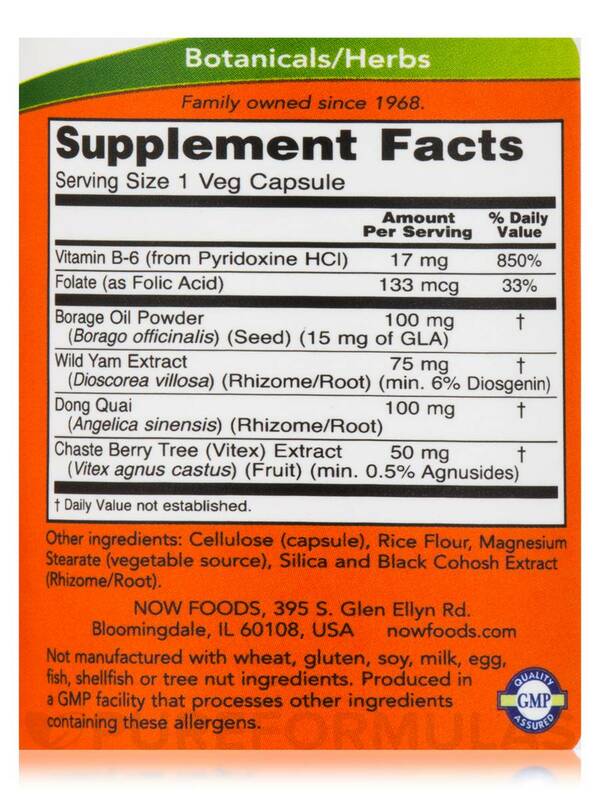 Take 1 capsule 3 times daily‚ preferably with food. 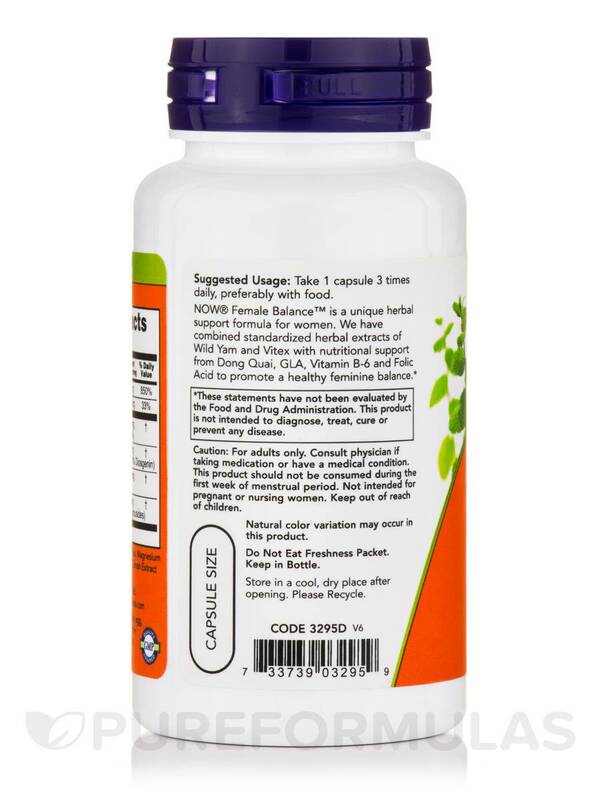 This product should not be consumed during the first week of menstrual period. It does what it says and it is a very good value for what is costs. Having to take more than one dose a day.